Little did I know, that I was an involuntary witness to the beginning of a long resistance for the national communities of the Ecuadorian Amazon. In 2012, on my fourth day of my three week stay, deep in the Ecuadorian Amazon, the tranquillity of the forest was interrupted by an uninvited military helicopter that landed in the Shiwiar territory of Jusuintsa around the 21st of August. They were supposed to ask the Shiwiar community permission to do this, but neglected to do so. My heart began racing as we walked towards these uninvited guests. There was only one thing I could think of as to why they were intruding upon the Shiwiar territory unannounced, ‘Petroleum’. I shared my concerns with the community, we went to talk to the officers whom claimed they were simply mapping the area, as it had never officially been mapped before. I asked them if it was for oil, they denied it was. Military mapping Shiwiar territory, Juintsa. August, 21st, 2012. Photo credit Author. In October, 2012 I received some breaking news from one of my Shiwiar friends. 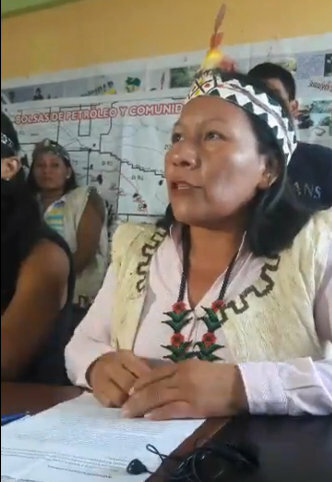 Veronica Shiran, manager of the Shiwiar radio station for the whole of northern Ecuador in the Pastaza region, relayed to me, what was just announced to her community a few weeks ago, she said, “what this means for the Shiwiar and for the other indigenous communities of the Amazon is beyond their worst nightmares''. On October 23, 2018, at the Hydrocarbons conference,Ecuador, Petroleum Company PetroAmazonias plans to increase its crude production and extraction of oil in the Amazon rain forest to 700,000 barrels per day until the year 2021. This month, the Ecuadorian government ministers declared they were going to enter oil blocks 85, 86, and 87. 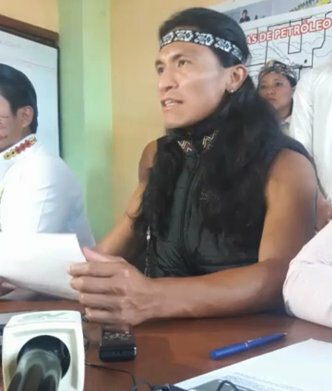 During the meeting of the mining and oil sector stated that Oil Blocks 85 and 86, Carlos Pérez, minister of Energy and Non-Renewable Natural Resources declared there would be no problems to enter and drill in these blocks because there are no indigenous communities present there and therefore the impact would be minimal. Ecuadorian President Lenin Moreno blames that the economic situation he inherited from predecessor Rafael Correa and that the country’s accumulating debt stood at nearly $42 billion, without including other liabilities worth $8 billion. An inheritance with US loans on oil activities affecting the fall in oil prices, corruption in the government financial and oil sector and the devastating consequences of the April, 2016 earthquake. However, the declaration Carlos Pérez made about blocks 86 and 87 being unoccupied is an inconvenient lie. Since, it is quite clear there are three indigenous ancestral territories with active communities on them affected by this proposal. Personally, I have worked with the Shiwiar since 2011 and I sent many volunteers to the Shiwiar territory. I also stayed with the Shiwiar and had to fly in a small apache plane for an hour and a half, just to get to this amazing biodiversity hotspot deep in the Amazon. Several serious grievances need to be highlighted here. 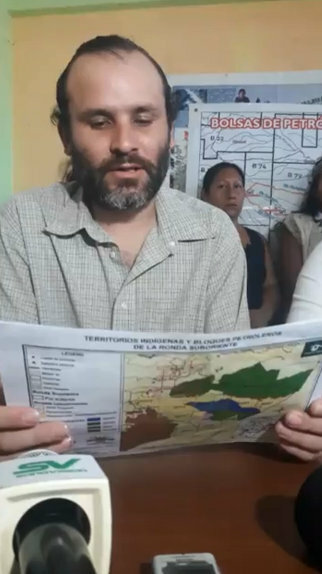 Firstly, Carlos Pérez and the Ecuadorian Government are ignoring the obvious fact that these territories are occupied bv three important communities, the Shiwiar, the Sapora and Achuar. Secondly, they have failed to legally consult the indigenous communities first and foremost, prior to any public proposals or conferences of any industrial activities. Indigenous groups in Ecuador have been recognised under the United Nations to which there exists a non-binding agreement, which gives indigenous groups the chance to defend their lives, land, and culture. Guaranteed throughout the Declaration is the right to a process of “Free, Prior and Informed Consent” for indigenous peoples when faced with decisions, projects, or legislation by corporations or government that may affect their people and/or territory. Article 57, point 7 of the 2008 Constitution of Ecuador guarantees free, prior and informed consultation, within a reasonable period; however, this does not require consent (and is not binding). Article 82 refers explicitly to environmental consultation, in the case of a state decision which might affect the environment, and specifies broad and timely information for those affected. However, even if there is a majority opposing the project in question, it may still be carried out on the condition that the impact on those affected and the ecosystem is minimised. Thirdly, Ecuador rewrote its Constitution in 2007-2008 and it was ratified by referendum by the people of Ecuador in September 2008. The new Ecuadorian Constitution includes a Chapter for the Rights for Nature. Rather than treating nature as property under the law, Rights for Nature articles acknowledge that nature in all its life forms has the right to exist, persist, maintain and regenerate its vital cycles. And the people – have the legal authority to enforce these rights on behalf of ecosystems. The ecosystem itself can be named as the defendant. Finally, The Escazu Agreement was adopted on March 4, 2018, in San Jose, Costa Rica, by representatives of 24 countries including Ecuador, the treaty implements Principle 10 of the Rio Declaration, adopted at the Earth Summit in 1992, by establishing safeguards for access rights to the information, public participation and access to justice in environmental matters. The agreement also imposes specific obligations to protect from threats and attacks to people who defend human rights related to the environment, to investigate and punish any aggression against these people, and to guarantee their rights to life and personal integrity, as well as the rights to freedom of peaceful assembly, movement, expression and association. "All people have a right to a clean and healthy environment, making sure that all voices can be heard when it is time to take important decisions that affect us all,"-Erika Guevara Rosas, Americas Director of Amnesty International. The presidents of 7 nationalities of Pastaza and Morona Santiago with the presidents of Confeniae, Conaie, expressed their resounding rejection of the bidding of oil blocks in the south central Amazon. We the Shiwiar, have a duty to be able to transpose this manifestation of public in a progressive manner, we are here with our colleagues and united communities, the Achuar, and Confeniae, Conaie and representatives Sapara. We have planned to present our assembly to the Ecuadorian government. 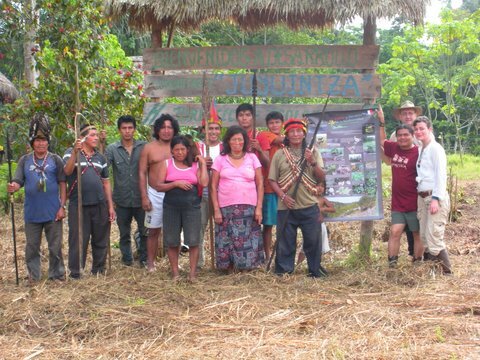 We understand that the government is negotiating to be able to make what is the new oil company in the South eastern territories of the Amazonias. We understand they want to do it in oil blocks 86 and 87, This means that the territorial Sapora, and Shiwiar, will be affected directly. Therefore, for this pain, we are not a sacrifice and we are deeply concerned. We have been resisting this exploitation for a long time but now it has come to a head. To the South in this province of Pastaza, we count fourteen communities and 4 associations, the communities of the Shiwiar and Sapora nationals. Our demonstration is clear, companions, we, the Shiwiar of Ecuador, will fight when you enter petroleum to avoid fragmented communities and forest sites after the oil companies have impacted them. The Shiwiar nationality of Ecuador will never allow the entry of oil, why? 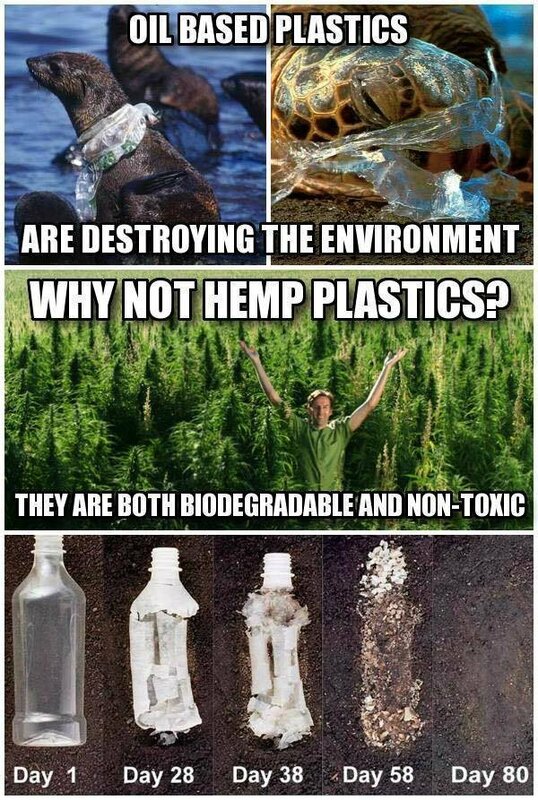 Because we live in nature, we are dependent on nature, because no human being is independent of nature, we know it very well because every time they have been drilling they caused devastating contamination of seven mission companies of some foreign super states, thus making irreversible environment pollution. The Nationality Shiwiar Ecuador, have two hundred and thirty eight thousand hectares where we could never allow, entry of these oil companies. We also work in conservation programs to protect and preserve the environment. We assembled earlier this year in July 20-21, 2018 for 14 communities and 4 associates and we made solutions. We reject no prior consultation of our nationality and territory in 2012 and what other prior consultation or request that this is acknowledged in the future. We strongly rejects the new round of oil in the south-east that pretends to register in the national government over our ancestral territory without prior consultation to us, the Shiwiar people. The Shiwiar of Ecuador do not accept and categorically rejects that Petroamazonias has no prior consultation with our people, because all the prior informed consultation is transparent and sufficient. Everything so far reflects only corruption. where once were we consulted or informed prior to any activities? And when have our our communities or associations received consultations? We reject this lack of respect for our community and our association, for not seeking prior consultation with us. Shiwiar men, Shiwiar women, children, Shiwiar girls, the Shiwiar people would like to see oil companies respect our territory, because without this territory we can not live. 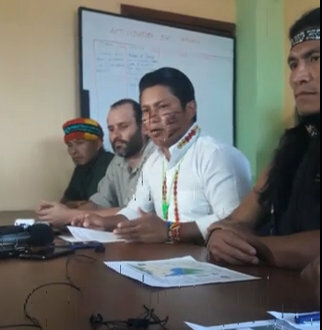 We do not allow oil companies to enter and I tell Carlos Perez of the ministry, we are not going to step back so that the oil companies can enter, we will always continue this fight because we have the rights to protect our territory. It is not a territory that exists for the sole purpose of oil or mineral exploits. It is a great university of nature and life for this community, we have our own rights in our territories, the same rights for education and health and seven more aspects, therefore regarding the rights to choose this way of life. 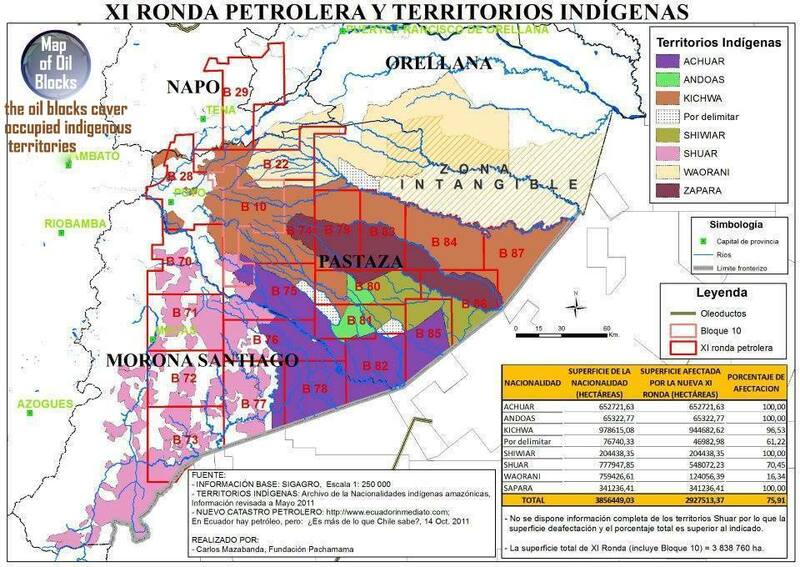 The above map clearly shows that blocks Carlos Perez claims are unoccupied and therefore would cause minimal impact are in fact occupied by the Achuar, Shiwiar, Sapora and Kichwa. I am the president and representative the Sapora nationality, and we reject the drilling of block 86, 87, because this territory belongs to us, it does not belong to the government. We will be profoundly affected if the territory Saparo is entered by oil companies, and so the Shiwiar territory be directly affected. As a result we have unified all the nationalities and reject exploitation of these territories. Similar to as nationalities of Native Americans in the United States, we are organized so that our territories are not entered. In this case, we want to remind the government that our Sapora nationality has a patrimony, therefore the government must respect this. After recognizing this, they also need to respect all indigenous territories. We reject as a nationality that if they want to enter, or if they open fire upon us, we get up here to say, the very reason they have ignored prior consulting with us or with the Shiwiar, we have a spear, with this spear we will continue to resist. Our nationality Sapora want the government and the Minister Senor Carlos Perez to respect our territory because we live with nature. The minister say's nobody lives in this territory, but there are, five communities living in this territory, it is our territory and the biodiversity has a preservation value for the future of the planet, not for them to use is like a market to convert to money. That is why I have a threat, for them to understand is our territory. They always think they can exploit our territory without limitations, if we allowed that to continue, what happens is there will be no more biodiversity or jungle for the future of the planet. 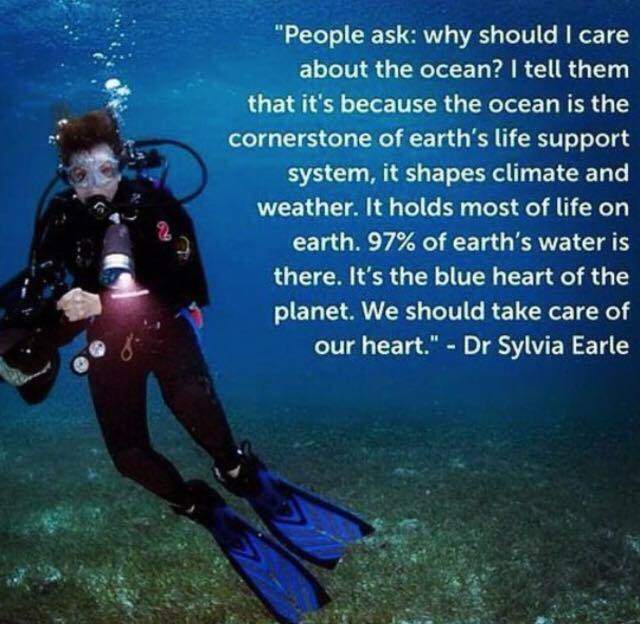 It is our responsibility to protect it and protect our territory. Thanks for all the journalists who are here, right now it is a fundamental job that people of the Amazon region and the world need to know this reality. The Confederation of Indigenous Nationalities of Ecuador represents and supports our people, supporting this motion, supporting this voice that these people have and their human rights. Until the rights of our nationalities are respected. Our ancestral history tells that we have died while being ignored and we have died while being discriminated, this is what our parents and ancestors endured, now this is the same story for us, and more than 525 years of struggle we continue with it. Today we support the Sapara nationality and the Shiwiar nationalities that are making these block 86 and 87 clearly known as their territories. 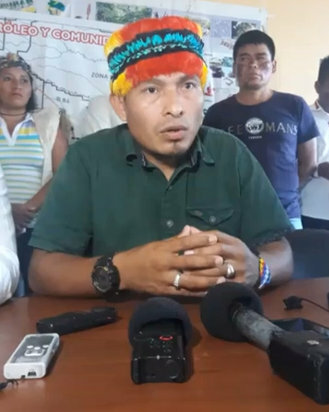 When the minister of hydrocarbons, Carlos Perez declared that there are no indigenous people in these territories, that there are no communities, what a deception? Clearly, the territories of our communal people are on these blocks and are deeply affected. The Shiwiar nationality, if not also up to Kichwa nationality in this case, CONAIE are supporting these communities. We are vigilant, of rights of our nationalities and communities that you think you can buy and take from us. Remember, that our work is to defend the cosmovision and world view of the people's of the nationalities. We are the guardians of CONAIE, so that these requests, and our territories remain protected. You cannot just walk into them, you need to respect and acknowledge the rights of the peoples nationalities. Thank you so much. The minister of hydrocarbons, Carlos Perez who made a declaration regarding the oil blocks 86 and 87, said there would be minimal impact in these blocks because there are no communities there. We reject this statement, made without foundation, we know the dynamics of the communities. In this case, what communities are present in these blocks? Well, to start with the Shiwiar territory is in Block 86, consisting of four communities, also Juinitsa, and the Sapara territory, the Achuar national territory in block 85, and in block 87, and Jaco Jaco community that is Kichwa. Therefore, the declaration of Perez is a statement that has no fundementality and logically is only made for the obvious interest of the oil companies that seek to exploit these oil blocks. The other side of our lack of agreement, of the state of the reality of the life is of the nationalities, in our communities, each one of us have plans for life and plans in a fluent manner. Our our cultures exist, consisting of people, communities, relatives, families, men and women. There are territories of the best preserved areas of rainforest and biodiversity hotspots with our nationalities acting as guardians of the forest and preserving them, Achuar, Shiwiar, Sappora and Kichwa have our own plans to maintain conservation. This is what we wish to express for the struggle of our nationalities when we face exploitation. Secondly, we want to express our total support to the nationalities in Pastaza for these special three nationals, Shiwiar, Sappara and Achuar who at this moment are giving their rare press appearance, to make this appeal. The 7 nationalities of Pastaza and the 10 organizations of Pastaza and in Morona Santiago, on the 23 of October in Quito outside the Marriott hotel, with the presidents of Confeniae, Conaie expressed their resounding rejection of the bidding of oil blocks in the south-eastern Amazon. Now the presidents say, what are the solution we can build for the Kichwa and Pastaza congress. Fittingly,the Kichwa nationality wish to keep their territory free of environmental pollution. 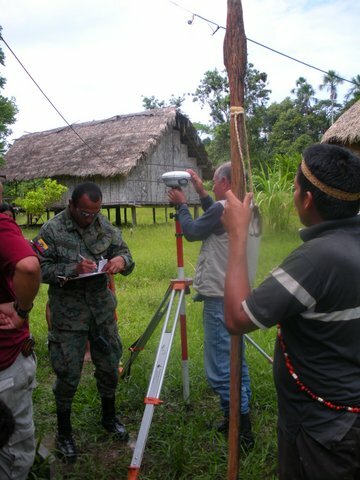 The way our 7 nationalities are in Pastaza is very emphatic that this exploration is not realized. The Ecological Value of the Amazon Rainforest. The global reliance on oil makes all of us responsible for doing something to protect the Amazon, since the world’s dependence on petroleum is one of the major causes of its rapid destruction, which again means the decisions for its conservation measures lay with the international community, not just with the Ecuadorian government or with the other countries that the Amazon occupies. Rainforests are the basis for more than 5,000 internationally consumed products from herbal medicines, cures for cancer and popular food sources, furniture and clothing. In terms of time, it took 3,500 million years for the Amazon rainforest to evolve and grow into the species-rich biodiversity hotspot wonder of the world. If it is destroyed, then it is gone forever, nothing can replicate or replace that, short of another 3,500 million human-free years. The western part of the Amazon Basin is one of the richest biodiversity hotspots in the world; the level of biodiversity in the Ecuadorian Amazon is especially astounding. Just to put it into perspective, Yasuni national park contains around 600 species of birds and 170 species of mammals, 1,100 species of trees all in one quarter square kilometre area, and that is more species than in all of the U.S. and Canada, combined. Most people do not realise that much of the carbon released when a rainforest is destroyed is in the peat soil below the trees, it is not just in the trees but most of it is in the peat soils below which store thousands of tons of carbon, so they are invaluable carbon sinks, below the trees and this is key to help to regulating the climate. This means when deforestation occurs, all the carbon that was previously locked up in the peat soil below the rainforest is released into the atmosphere. The Convention on Biological Diversity states that the Amazon contains more than 50 percent of the world’s plant and animal species. We must not discount the value of its undiscovered secrets for medical science and for humankind, as already, people are discovering plant-based cures for cancer that come from rainforest plants, there are over 60,000 plant species in the Amazon and only 3 percent have been studied for medicinal properties. 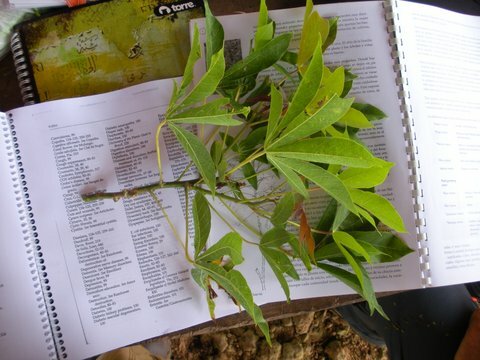 Many of our foods come from the rainforest along with other important materials. There are thousands of undiscovered species of plants and animals still in existence, but we are destroying them at a pace which is faster than we are discovering them. Therefore, everyone’s opinion and actions are relevant and play on important role in defending this key ecosystem, as its devastation will be the devastation of all of us if we do not step in to defend what remains of the Amazon Rainforest. The Silent Ecocide, a crisis of human consciousness. If you wish to publish parts of this article else where please reference the source link to this page and to this article, I also can provide Spanish Transcripts. Thank you. The alternative energy industry, especially the solar industry has grown exponentially since 2010 into being worth £170 billion pounds globally. This industry is now contributing to economic development. Utility companies have been threatened by the growth of the alternative energy industry and this has escalated into trade and policy conflicts in countless examples globally, with serious economic and political consequences. Countries have been developing the use of protectionist policies to encourage domestic manufacturing for alternative energy opening opportunities for foreign entry into domestic markets. However, not all countries are well positioned to become competitive exporters or importers of the same green technologies due to high taxes, but if industrial policies can help create competitive domestic manufacturers, there may be direct domestic economic benefits. Opening the global market entrants can lead to more competition in the sector, and encourage further technological innovation. (Lewis, 2014). While most people think of Solar and Wind as the main alternative technologies, we are living in an exciting time with regards to alternative energy systems, yet we have not seen these technologies being delivered onto the public market as quickly as we would like to see considering the environmental problems that many are concerned about and part of the reason is because fossil fuel markets are very powerful with a great deal of financial and political power to impede the development of other alternative energy infrastructures. The original Water Fuel Cell was invented by Stanley Meyers back in the 1980s, he was poisoned in 1998 at a restaurant, probably by oil barons. A few years before Stanley was murdered he gave a presentation on his water fuel cells, in the presentation, Meyer describes a molecular, chemical and electrical level of how water can be used as fuel — not just as a gas, but for domestic and industrial electrical generation. Meyers was also the holder of 40 patents. Think about the economical implications this would have on the current oligarchy monopoly on grid electricity power companies and oil stakeholders, when oil companies presently rake in 100,000 dollars per hour in profits. An astronomical amount of fortune that the world powers will defend with severe vehemence to protect a lucrative income, even if it will cost us the destructive to the Planet. Other technological breakthroughs include developments in Nanotechnology. The entrepreneur, Justin Hall-Tipping, sought out the world’s leading nanotechnology scientists to harness the electron and create energy through nanotechnology, now they have a company called Nanoholdings, which consists of team of scientists, investors and innovators working at the cutting-edge of nanotechnology to develop solutions to the world’s growing energy problems. Working in partnership with the world’s best universities, they have developed products and companies that will revolutionize the way we use and generate energy. The days of the coal or nuclear power stations are numbered as nanotechnologies are developing. Imagine you live in a building that has very large windows, you can use each window much like a solar panel, simply by using a thin plastic film with energy harnessing systems, embedded inside the film as fine or finer than a human hair, the plastic sheet can be stuck onto the window panes of a house or office building to use the light and heat energy beaming in through the window. This becomes a powerhouse using nanotechnology to convert light energy from the sun to power up the building for heat or to cool or generate electricity and if it is not required there, it can then be sent to someone else who needs it more. (Hall-Tipping, 2011). More and more Free Energy devices are emerging all over the world, Countries like India and China are not going along with the repression of Free Energy, While, in America, the privately owned Patent Office is reported to have already managed to suppress some 44,000 American free-energy patents. We will focus mainly on the conflicts between utilities and solar power which are being slowed down by political and corporate conflict of interests. Despite this, there is a positive outlook for the booming Solar Photovoltaics industry which in 2015, exceeded the nuclear power energy production. In the UK almost 90% of our energy comes from fossil fuels. Together, projects to cut Carbon Emissions such as Power Down and Power Up with the goal to eliminate all emissions from our energy system. Renewable energy provides a primary energy supply before conversion losses of around 1,160 TWh per year, allowing us to meet 100% of a final energy demand of 770 TWh per year (665 TWh per year, not including ambient heat for use in heat pumps) using only ‘zero carbon’ energy sources. Wind energy plays a central role, providing around half of the primary energy supply (581 TWh per year). (Center for Alternative Energy, 2014). The rest is generated using various renewable sources of energy, the UK could step up and follow Germany’s and China’s example, by installing more solar and wind, it would also benefit greatly from utilizing wave power. Despite the above project initiatives no one wants to take note of the fact that Governments and banks gain around 33 trillion in profit, a year from trading carbon and taxing emissions. Pushing the Global Warming Agenda is a profitable business and an excuse to keep using geoengineering which is poisoning ecosystems globally and unnecessarily blocking out the sun, is this really to cool the planet or is it another excuse to discourage solar energy? The system of taxing and trading carbon does not remedy the root of the problem, while the emphasis is on carbon emissions in the public arena instead of consumption of Oil, the root cause to these critical environmental problems are blatantly ignored, it is the consumption of oil which is causing ecocide and influencing ecocide and ecosystem collapse of the planet. Global oil consumption is the highest it has ever been in human history, in 2010 the world oil consumption was at a rate of 87 million barrels of oil per day,(Rapier, 2014), in six years of profitable wars for the global elite this has currently increased to 97 million barrels of oil a day, this year 2016. (EIA 2015), That is almost a 100 million barrels per day drained from the Earth. Despite this, we already have exciting fossil fuel alternatives appearing in vehicles, so there really is no need for us to rely so heavily on oil anymore. In the U.S. utilities have attempted to slow the growth of distributed generation (DG) solar by reversing policy support, and they have greater financial and political resources than the fledging solar industry. Energy companies with power and resources have attempted various strategies to slow the growth of DG solar, the result vary by strategy type and also depends on the policies in various US States. 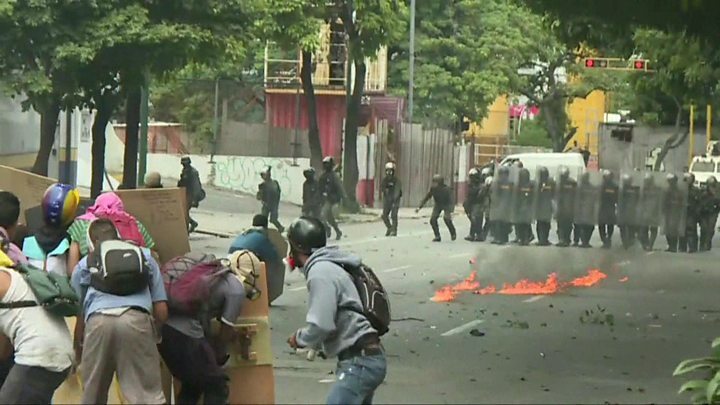 Niche organizations can somewhat overcome the political power of regime organizations through various options, to form coalitions with political parties that support the niche technologies, or gain support from countervailing industrial organizations, and form coalitions with social movements to mobilize political protests and petitions. The political opportunity structure (in this case the party in control of the state government), affects the pattern of niche-regime strategies and interactions. Utility industries such as electricity exercise a strong influence on the development of Solar Technology. Motivation for support for Solar Technology is in the policy arena reflecting the need to find solutions to environmental sustainability issues in ways that create jobs and enhance competitiveness. When powerful industrial regimes attempt to defend their business-as-usual models, political consensus for this justification for Solar can break down. What are the political strategies available to niche organizations and their coalitions? Some strategies implemented by the fossil industries are that the utilities continue to create obstacles for the Solar Technology market favoured by consumers, who have the right to choose to support the transition of technologies for the environment. The utilities are conveniently ignoring the environmental benefits of Solar technologies and the avoided costs in new non-solar generation and transmission. Despite this attempts to gain monopoly control over solar energy, such as the legislative effort in the Washington State and Iowa, have been unsuccessful. (Hess, 2015). However, there are some specific dimensions to the issue that make the analysis of the U.S. cases interesting. For example in the USA, the Koch-brothers-funded front groups like American Legislative Exchange Council (ALEC) make it hard for home owners to convert to solar because of the punishing rates they endorse when people attempt to do so, which make the possibility of Solar powered states like Nevada and Arizona lag behind many others, the same situation with Florida, one of the warmest state in the USA, because the Solar market again has been hemmed out with similar techniques by Investor owned fossil fuel companies that have wealth and substantial political power as a result. Key policies that have spurred a rooftop solar revolution elsewhere in America are absent or actually illegal in Florida. Another example where utilities have the power to prevent a mandate in Florida for electricity from renewable power. Worse, the state's restrictive monopoly utility law forbids anyone but the power companies from buying and selling electricity. Landlords cannot sell power from solar panels to tenants. Popular solar leasing programs like those offered by SolarCity and Sunrun are outlawed. Rooftop solar is limited to those who can afford the upfront expense; as a result, fewer than 9,000 Florida homes have panels installed. (Dickenson, 2016). The USA produces around 25 gigawatts of solar energy and is concern with China and Germany becoming leaders in alternative energy produced by wind and solar, China this year has overtaken Germany as the world's leading solar energy producer with an installed capacity of over 43.2 gigawatts (GW) according to the latest statistics from the National Energy Administration (NEA). Germany produces about 38.4 gigawatts. (Lindon, 2016). The phenomenon with Solar technology is that nanotechnology is developing rapidly that it has elevated the Solar industry so fast as new ways to trap more of the sun's energy into more powerful cells and convert it into more electricity per cell. Lobbying should be illegal since it erodes democracy, but Lobbying is a legal form of bribery where corporations can funnel millions to politicians, to influence their decisions and make them rewrite environmental laws to suit the access needs of fossil fuel companies. They spent $3.5 billion lobbying in the USA . A group of 167 organisations with almost $3.5 billion of disclosed lobbying spend in the USA, are also engaged in lobbying and public affairs activity in the UK. Research by Who’s Lobbying in the UK has identified at least 167 organisations with disclosed lobbying activity in both the UK and USA. In the USA these 167 organisations have a combined disclosure of $3,499,731,804 total amount spent on lobbying and lobbying firms hired. (Siera Club, 2014). The UK lobbying system is less transparent and will not disclose the amount of money spent by corporations on politicians (Whose Lobbying, 2012). While the governments focus on cutting carbon emissions, the focus needs to be on cutting oil consumption in order to cut emissions. Global oil consumption is the highest it has ever been in human history, in 2010 the world oil consumption was at a rate of 87 million barrels of oil per day, (Rapier, 2014) which has currently increased to 97 million barrels of oil a day this year 2016. (EIA 2015), That is almost a 100 million barrels per day drained from the Earth. Despite this, we already have exciting fossil fuel alternatives appearing in vehicles, so there really is no need for us to rely so heavily on oil anymore. British Shell Petroleum, which is just one of dozens of different oil companies, makes a net profit of about one hundred million pounds an hour. (Mann, 2015). This is one of the reasons why there is so much resistance to developing infrastructures for water fuel cell and solar vehicles. It is not surprising that political-economic conflicts have emerged when the foundation of wealth was built on the fossil fuel industry. While the Oilgarchy will continue different strategies to try to keep things as they are and in some cases, the incentives for conflict may overpower the incentives for cooperation, efforts for continuing to take a collaborative approach to work with major trading partners or coalitions may defuse tensions that lead to feuds before the World Trade Organization or other controlled institutions. (Lewis, 2015). This battle has been paralleled with the famous story of David and Golliath, instead this battle is between fledgling alternative energy technologies and the Oilgarchic giants. Where there is a will, there is a way. There are more of us than there are of the global elite despite the power they claim to yield and as increasing demand for Solar innovations spreads and as technology is rapidly accelerating along with other nanotechnological innovations for Free Energy, the build up may be to the explosive variety of alternatives flooding the market which will have the effect of collapsing the current system because it already cannot control the diversity of new technologies. During global collapse of ecosystems and the unfolding environmental crisis, we must embrace a change from the current energy monopoly which is causing ecocide for a transition to an ecologically sustainable and transparent economy, we are witnessing this transition albeit a warlike one, the diversity of innovations, in response to the environmental crisis is overwhelming, alternative energy will prevail with persistence, demand and growing awareness. Ahmed, N. (March, 2015), How Blair’s Egyptian gas gambit advances the Israeli energy empire . Middle East Eye. Last accessed, February 20th 2016 < http://www.middleeasteye.net/columns/how-blair-s-egyptian-gas-gambit-advances-israeli-energy-empire-1084496693#sthash.GBn2D1DX.dpuf >. Dickinson, T. (Feb, 11, 2016). The Koch Brothers' Dirty War on Solar Power. Rolling Stones Magazine. Issue 1255: February 25, 2016. Hurricane Patricia hit the Mexican coast on Friday, fortunately for the Mexican people, Patricia weakened considerably, despite being the largest hurricane to ever be recorded at a ‘Category 7’ with 245 mph winds, except that the measurement scale for classifying hurricanes only goes up to ‘Category 5’. Along with Typhon Champi, which had an eye that was 70 miles wide in diameter, Champi peaked in intensity last Sunday, with maximum sustained winds of 150 mph, equivalent to a category 4 hurricane. The National Oceanic and Atmospheric Administration (NOAA) announced El Niño is commencing, the data suggests the event is stronger than the last one in 1997-1998 . Observations of sea surface heights and temperatures, as well as wind patterns, show surface waters cooling off in the Western Pacific and warming significantly in the tropical Eastern Pacific. We have never seen super hurricanes like this ever recorded before, the possibility that these are far from natural occurrences is evident to many who always ask the question ‘why ?’ yet conventional scientists will not bring into question other anthropogenic influences, on the atmosphere and troposphere, such as geoengineering, CERN and HAARP. These storms just appeared out of the blue right after William Morris points out Mexico’s oil companies recently moved away from the dollar to China’s Yuan currency . Morris’s points are feasible, though thanks to the weakening of Hurricane Patricia, the environmental damage it could have caused and the impact on human life was spared. The military do own the weather now, many existing patents prove this. The mainstream media are already claiming that these off the chart, super hurricanes are attributed to ‘climate change’, and global warming alarmists will be referring to these freak hurricanes as proof that the planet is heating up, despite world class climate scientists stating the contrary. However, the global geopolitical and elite agendas remind us everyday that we have no choice or say when a cocktail of chemicals and metallic nano particles are sprayed over our heads daily around the globe, in the name of cooling the planet? This is a contentious intrepid and holey subject in the world of environmental science, there is no settled science on the climate debate, that is what climate does, it changes, it has done for millions of years and will continue to do so as long as there are living ecosystems and a sun up in the sky .
" First point- It is misleading and just plain incorrect to claim that disasters associated with hurricanes, tornadoes, floods or drought have increased on climate time scales in the United States or Globally. Second point- weather related losses have not increased globally, it is further incorrect to associate the increase of cost of disasters with the emission of greenhouse gases. Third point- Globally, other related losses have not increased as a proportion of GDP, they have actually decreased by 25 percent. Insured catastrophe losses have not increased in proportion to GDP since 1960, Hurricanes have not increased in the USA in frequency or intensity since the 1900s, the same holds for tropical storms globally since 1970 and we have good data. Forth point-Floods have not increased in intensity or frequency since 1980. And remarkably flood losses in percentage of GDP have reduced by 75 percent since 1940. Fifth point- Tornadoes have not increased in intensity, frequency, or normalized damage since at least 1950, and there is some evidence to suggest they have actually declined. Sixth point- Drought has (and here I quote the IPCC)- for the most part become shorter, less frequent and cover a smaller portion of the US over the last century. Globally, (and I quote from a recent paper in Nature)-There has been little change in drought over the past sixty years. Seventh point- these trends being the case, it’s nonetheless a fact that the absolute cost of disasters will increase significantly in the coming years, no matter what you think about climate change or the human role in it, simply due to increasing wealth and population, as opposed to locations that are prone to extremes. - Dr. Roger Pielke at The US Senate Committee on Environment and Public Works Full Committee hearing ,“Climate Change: It’s Happening Now.”July 18, 2013. Nasa employ world class environmental scientists who often present their data and state their findings at Climate Conferences for the benefit of politicians, bankers and policy makers, many scientists at these climate conferences say one thing with their data presentations which is usually contrary to what the politicians interpret hearing, along with corporations and mainstream media or even NASA themselves. Many climate scientists such as Dr Collins and Dr Roy Spencer and Dr Pielke, over the years of climate conferences continue to point out that the warm period we have today is no different to the warm periods we have had in the Medieval times or in the Roman times, or thousands of years before then, they also state that the IPCC continue to remarkably fail in acknowledging natural factors that influence climate, such as the Sun and the Ocean Warming and Cooling cycles (as the oceans also sequester carbon dioxide during cooling periods then emit carbon dioxide during heating periods). Despite these scientists being employed or consulted by NASA or other government institutions, NASA themselves twist what the very climate scientists that they employ have said, an obvious rift between the data, research and words of their climate scientist employees or consultants, this is quite apparent if you visit NASA’s climate associated websites that are written by Public Relations employees that clearly support the Global Warming Alarmist agenda. There is a large disparity between what the climate scientists state at climate conferences to what NASA themselves tell the general public about climate on their publicity sections of their websites, the same goes for the IPCC. This means that the original scientific data becomes manipulated for propaganda purposes rather than for real science, which is only obvious to those that double check the research. The same disparity happens with politicians and mainstream media and even environmental organizations when they interpret such data, which is no surprise considering global warming research and political agendas such as carbon taxing have generated around 33 trillion per year for banks politicians and environmental organizations. Funding into climate change technology and research Forbes stated generates around 79 billion in 2011, yet these carbon taxes show no sign of decreasing emissions. What is needed is a transfer of economy to clean and alternative energy systems which have been suppressed until now, next year using oil will be inexcusable when Honda release the Water Fuel Cell Car onto the global market. The above image reveals electromagnetic pulses recorded from 130 to 180. Antony Patch who was recently interviewed by Kevin Baker claimed that CERN is actually generating 1.5 Peta Electron volts, instead of Terra which refers to trillions of volts, Peta refers to quadrillions, using collisions of Led. What does this mean? How does CERN affect the Earth with generating such an energetic field? The scientific purpose of CERN is allegedly to study the flow of neutrinos passing through the Earth, the public are very unaware of the multiple functions that CERN can perform with other technology, on levels that are beyond most people's comprehension. We are all left to guess, how does this work in conjunction with HAARP and geoengineering? All questions that are very difficult to find the answers to, as this kind of information is being obscured for malevolent agendas, it is certain that all technologies are contribute to forming or working with plasma energy fields and the Earth’s ionosphere/ atmosphere. We do not have mainstream scientists' analysis of the affects of these powerful atmospheric manipulation devices on the Earth’s natural ecosystems, geology or climate repercussions. Hurricanes can be manipulated- Project Storm Fury is evidence of this, therefore if hurricanes can be started through cloud seeding, they can also be prevented or reduced, though the general public consensus is that this is impossible. Other factors that affect Hurricanes and atmospheric climate change are the use of geoengineering and other forms of weather manipulation such as Haarp, which heats up the ionosphere and may be contributing to dangerous UV levels in the Earth’s atmosphere. Through collecting samples and empirical data, aware citizens are taking steps to monitor the environmental impact of geoengineering and HAARP. Governments skew empirical data and people are getting tired of it therefore people are becoming citizen scientists, which is a good thing because at least we know they are individuals that care and they are not getting paid by politicians or corporations for biased data or samples they collect, they are just motivated because they want the truth. The Haarp Report channel on youtube recently released a timely video revealing deadly Ultraviolet levels from readings taken in Texas where Ultraviolet levels have increased from 500% to 3800%, in only 13 years. The Haarp report states that these levels are driving ecocide. Chemtrails, and Ionospheric Heaters are blasting holes in the protective Ozone Layer, hundreds of times, every day! In 2002, the ratio of dangerous UVB to "normal" UVA was less than 1 percent (0.6%). Since then, the UVB has increased to a possible 38%, as shown in the video. This explains the rapid extinction of plants and animals, all over the planet. UV radiation from the sun has always played an important role in our environment, and affects nearly all living organisms. Plant and animal life have adapted through evolution, though with the current activities in HAARP and aerosol spraying, the Ozone holes are increasing the harmful UV radiation into the stratosphere, this increase could be causing the extinction of plant and animal life in addition to the toxic metal and chemical particulates of geoengineering activities. The longer UV wavelengths of 320-400 nm are called UV-A, which has an essential role in formation of Vitamin D through the skin, when there is an over-exposure of it, the result is an increase in sunburn, skin cancer and cataracts, which the natural protective Ozone layer would usually prevent. The incoming radiation at shorter wavelengths, 290-320 nm, falls within the UV-B category of the electromagnetic spectrum. UV-B includes light with wavelengths down to 280 nm, but little to no radiation below 290 nm should not be reaching the Earth’s surface let alone found in the Earth’s Stratosphere. UV-B photons can cause damage at high levels to deoxyribonucleic acid (DNA) in all biological life forms. The UV-B interferes with protein-building enzymes, which as a result cannot “read” the DNA code so cells either die or distorted proteins are produced. Life forms have evolved to repair DNA. A special enzyme arrives at the damage site, removes the damaged section of DNA, and replaces it with the proper components (based on information elsewhere on the DNA molecule). This makes DNA somewhat resilient to damage by UV-B, however the current level so far for UV-B are too high for this usual self-protective mechanism to take place in the DNA. Like all living organisms, plants sense and respond to UV radiation, both the wavelengths present in sunlight (UV-A and UV-B) and the wavelengths below 280 nm (UV-C). AIl types of UV radiation are known to damage various plant processes. Such damage can be classified into two categories: damage to DNA (which can cause heritable mutations) and damage to physiological processes. There has been much speculation about how increased UV radiation exposure will affect plants, but as yet, there are no definitive answers, that said, there is an exponential increase in species extinction in both plants and animals world wide at a rate between 75 and 150 species a day according to IUCN data. Excessive UV-B will not only affect human health detrimentally but also agricultural production, crop damage, tree damage, and detrimentally affecting Ecosystems and Biochemical cycles. The algae and phytoplankton in oceans contribute to about 80 percent of the Earth’s oxygen levels, overexposure to UV-B impairs the productivity of phytoplankton and algae and also bleaches and kills coral, therefore it is important to see the scope of impact on key ecosystems of too much UV-B present in the Stratosphere from these current readings. 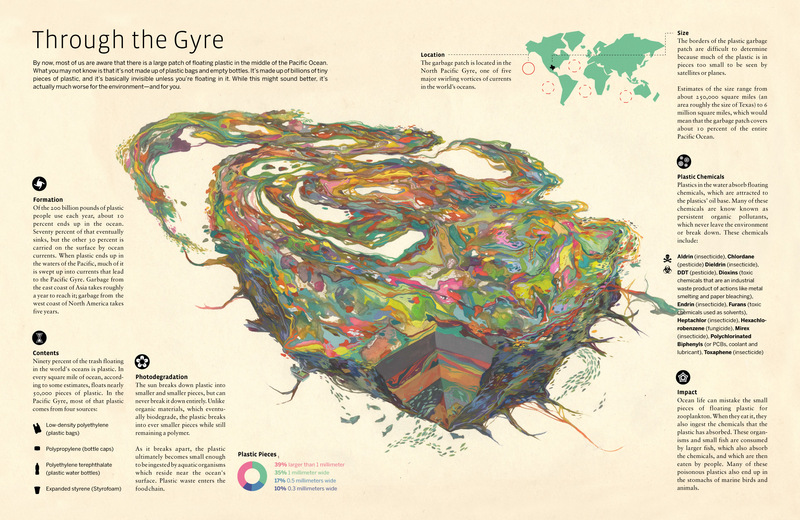 Until we have more people taking the responsibility to collect further scientific data and sample readings globally, we cannot formulate the scope of this environmental damage but we have a glimpse into it and it is not comforting. With all these issues to consider we are still left theorizing over how much power the elite have with weather manipulation but it is becoming clear that it is used as a political and economic control tool in the same way that earthquakes are used to destabilize a country and to exterminate populations if the country is not in favour with the oligarch agendas. We are witnessing the human relationship with and our perception of reality change, as more and more people are beginning to become aware of their subconscious capability to manifest our reality. This is the ecological relationship of the Noosphere to the Biosphere, the effect of global human thought (consciousness) on the Planet, the Noospheric climate affects the ecology of all life on Planet Earth. What we experience in life’s unfolding day to day events to some extent are being shaped by our subconscious minds, it may be in the form of your worst fears, or your most hoped for dreams, your frustrations or something that completely surprises you but that may symbolize something you need to pay attention to. Life can feel like that when you become aware of the mind relationship to matter, obviously environmental factors and external events are not things we can fully control. When more and more people take responsibility of their internal clutter, it may help create a more harmonious external world, if the global consensus was that we create external deformities, by being unaware of our internal chaos. So to some degree we do not have complete control over our external reality, but with mindfulness we certainly can gather we have some mental and emotional interaction with co-creating reality. Whatever we subconsciously manifest is in conflict with what we think we have to do in order to see or make something happen, we still live our daily lives, physically confirming that we only live in one realm of reality and that most of us are totally unaware of our abilities to converse with the universe via intention and imagination. 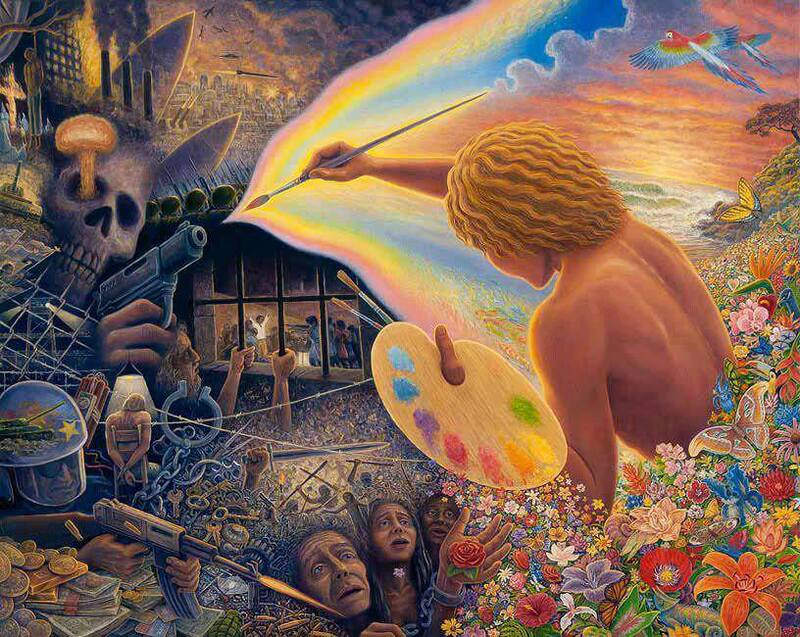 Most human beings think we are utterly powerless on a subconscious level to co-create our reality. We see reality as something we can only steer by physically going out into the world and changing it and mentally by logistical means in terms of the nature of how we choose to communicate and conduct ourselves out there in the world on a personal or professional level, using our knowledge, experience and skills and so on in order to ‘earn a living’ or create a family, interacting with the world for survival purposes. Is it possible that the world is the way it is and that a system of control was put in place because we have been ignorant to the nature of reality? Is it possible because we have been ignorant to the fabric of consciousness, time and our true relationship to Earth and Cosmos, that this reality has become one that we do not all consensually agree to? We are seeing that we have had our human rights taken from us, we cannot even have a say or physically stop others from destroying life on Earth, others that are in power but have complete disregard for the preservation of nature or human life. Earth and her creatures are being caused much suffering and injustice. We feel powerless in the face of a world we do not agree with, because we have not yet fully realized that we can change it by becoming fully internally aware of our power to co-create with reality. This starts only when we hold a space to cultivate inner balance by practising consciously being aware of our internal climate. We can only then become self empowered enough to manifest an external reality that we would prefer to live and experience, one that does not involve all this destruction and violence. The mass state of human consciousness is seen through such a restricted and programmed lens, a lens of human limitation because we perceive reality as something caused by external events, a result of our actions, the actions of others and other external factors such as environment, society and culture. We very easily ignore the possibility of our own undiscovered abilities to actually use intention to manifest a more harmonious life for ourselves, our families, our communities, other species and for Planet Earth. We are so accustomed to the bright lights, parental society and over stimulation, we are still very much infants emotionally, a product of social engineering with the foresight towards corporate tyranny. Yet within this prison that we do not all consensually agree to, some of us just want to stay there because becoming aware of one’s own power is seen as too painful, it takes away the comforting illusions and shows us the inner and outer deformations, pain and violation. Many people are afraid to take responsibility as it requires walking into unknown territory, it requires self-sufficiency, it requires being alone at times you do not wish to be alone, it requires a great deal of courage and letting go of fears that become the comfortable armchairs for those that choose to stay in their enslavement of consciousness. Being aware of the power of thoughts and emotions as well as one’s actions on reality requires a lot of daily practice and mindfulness, for example you can become aware that you are anxious before you go outside to interact with the world, then you might witness an accident or something negative happens. We can be aware of future events before they happen, individually and on a mass consciousness level, this has already been proven through studies performed by Academics at Princeston University as part of the Noosphere project to study Global consciousness by meaningful correlations through random data, Princeston scientists and engineers discovered that people were collectively reacting to the events of 9/11 before they happened on a sub conscious level, their research has deeply investigated interconnected human consciousness on a global scale and how our interactions affect us individually but more intriguingly on a global level of human consciousness. The project is ongoing at Princeton Engineering Anomalies Research Lab, Princeton University and is directed by Roger Nelson. Quantum physicists and other scientific researchers on consciousness are revealing the same evidence that we are able to sense future events and affect reality with our emotions and thoughts. The HeartMath institute have conducted experiments specifically looking into how human awareness can affect external reality. Or it could be that your state of mind and anxiety influenced that external event. There really is no way of knowing to what degree either is possible, but we are seeing that we can to some degree manifest, co-create or affect our reality with our minds, imagination and emotions, intentions and so on. We are finding out we can heal our bodies with the power of our minds and we can help heal other people’s or other animals bodies with mediation, prayer, intention, empathy, love, reiki, prana, chi, whatever you want to call it. This energy comes from the Aether, the fifth element that mainstream academic science denies, the Aetheric field can also generate electrical energy and is the world wide web of universal consciousness. Our perception of reality is being filtered by our experienced perception of time, which the human brain can only really perceive as linear time. On one level it could be that everything can be accessed where we are right now, we can travel to our past from the present, we can travel to the future from the present, we are in the present, past and the future at the same time. The human mind can only perceive life occurring though linear time, but what if it is possible to move through dimensions such as past, present and future and even other worlds or universes, using intention, meditation and so on as many therapeutic practitioners witness can be done through clinical hypnotherapy or meditation practices. With intention, one can go back and work on healing past wounds and letting go of traumas, the future can be perceived as something that we each have an opportunity to co-create by adding our individual wishes for ourselves, our families, humanity in general, the Earth and our fellow species. What does being aware of all of this teach us, if we want to become self-empowered and with our minds and hearts use intention to play a part in changing a reality we are consensually experiencing, but not consequentially agreeing to? It takes a path of constant practice in balancing one's self awareness of physically doing things to create a reality one would like to live in, from creating a life on your terms rather than the terms of society, to an alternative more peaceful life in a more sustainable and harmonious world, one that we would all prefer to experience and live. We must all be vigilant of the global mass consciousness that is being socially engineered through consensual culture and media. Then cultivating the awareness of communal consciousness with your kinship, your soul family, your tribe and the awareness of how fragmented and un-unified human awareness is, globally and the awareness that the solution to this is acts of kindness, love and empathy where possible in one’s local community as globally, on a microcosm level and a macrocosm level. The energetic ecology of the internal body is profoundly connected to the energetic ecology of the earth and universe, this is the noosphere connected to the biosphere. Despite the world wide web being used as a way to thieve privacy from humanity, the internet is also showing us the unfolding evolution of all of these factors involved in the awakening. Awakening to the power of the human mind and its true relationship and ability to co-create with reality with a self aware conversation with consciousness within the self and the Aetheric consciousness that we are all connected to. The existence of the internet and what we can do, build, see, experience, create and collaborate through it, is having an effect on evolving human consciousness, this testimony is in that it is encouraging more unity through shared and mutually agreed upon empathy and compassion to end suffering of other humans and of other species and to end the destruction of nature. There are millions of people awakening amidst the Sixth Greatest Mass Extinction, we are awakening to The Silent Ecocide and the extent of its injustices. We are reacting with waves of compassion and acts of kindness to other humans and animals, locally and globally. Some of us are being shocked out of our infantile emotional states to free ourselves from the Parental system that only seeks to feed off and control us, to keep us in a stagnant stasis. Our very hearts and souls are reacting to this reality that we do not agree with and it is from here that the wave of consciousness will spiral onward and upward. The courage humans are showing in the wake of tyrannical ruling is incredibly deep and powerful. This courage is caused by our deepest internal knowledge in our hearts and souls of what is natural law, what is truly right and wrong and the rejection of constant war and destruction. We are so tired of it, that it is motivating us to become the new bridge builders, map makers and seed planters, we are walking as a tribe, unified, arm in arm, whilst we walk into uncharted territory. We realize more and more how important love and trust is, for ourselves, for our faith in our personal intuition, our personal abilities to manifest life on our terms and for the good of others, and we are learning to put more value on love and trust in our new local and global communities and tribes of awakened people. Love and Trust will be the foundations of this new emerging consciousness, as we intentionally path the way for a more advanced level of human consciousness, one that considers community more than one's self, one that considers other creatures and our connection to nature, what we do to nature, we do to ourselves. The Silent Ecococide-The Environmental Crisis is a Crisis of Human Consciousness.